KINSTON – Peggy Nell Faucette Tart, 77, formerly of Knightdale, went home to Jesus on Thursday. 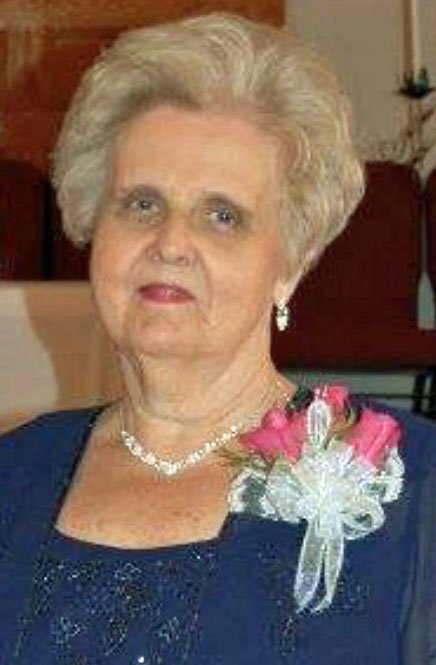 She was born in Johnston County to the late Lonnie Lewis & Luna Belle Price Facuette. She retired from the NCDMV where she was a title examiner. She loved being a grandmother. She was preceded in death by a sister, Fannie Lou. Funeral 2 pm, Monday, Hales Chapel Baptist Church with burial in the church cemetery. She is survived by her husband of over 47 years, Donald Wayne Tart of the home, daughter, Crystal Ipock (Gary) of Kinston, step-children, Mitchell Tart (Robin) of N. Charleston, Jason Tart (Jen) of Orlando, FL, Juanita Clark (Glenn) of Covington, GA, granddaughter, Gabby Ipock, & numerous step-grandchildren.